Artist Kristin Llamas (her real name) has been drawing adorably odd portraits of llamas for years. Inspired by a name and her affection for these delightfully expressive animals, she creates detailed, personality-rich portraits in her realistic and humorous black-and-white style. The results are charming and funny, raising the question, which llama are you? Some mornings are Claire mornings. Allyn, we know just how you feel.... 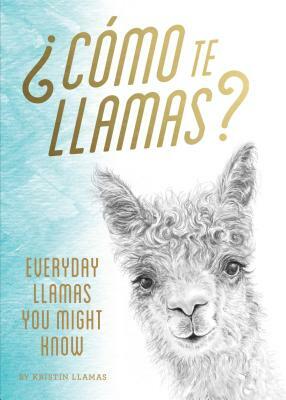 This smile of a gift book collects 60 of Llamas's most amusing and endearing portraits, pairing them with biographical quips and jewel-tone color washes to capture these llamas' quirky inner lives, and our own. Kristin Llamas creates project-based work ranging in scale from digital drawings to large paintings to street-art installations. She lives in Nashville, Tennessee.